Security is something that should never be taken for granted, nor compromised, especially when it comes to protecting the life of people and other valuable assets. Transporting personnel and important assets across conflict countries, harsh terrain, and high-alert circumstances can prove to be difficult. 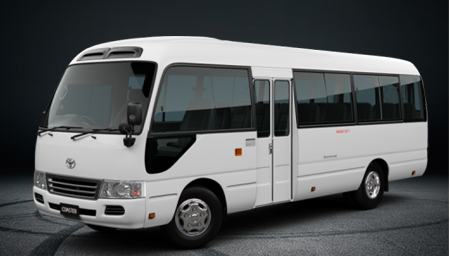 If you are in need of a reliable armored transportation solution, Harrow Security has got you covered. Harrow Security is a full vehicle armouring company that provides a comprehensive suite of solutions to counter modern day threats. We specialise in providing customised armouring services, complete armor-plated vehicles, reinforced automobile spare parts, special purpose personnel carriers, and military vehicles to customers in the UAE and beyond. Our products are developed and localised according to the needs of our customers in the UAE and the environmental conditions of the Middle East. This approach allows us to produce solutions that are able to overcome any danger, any challenge. Our armored buses are equipped with high performance brake pads to enable quick and responsive manoeuvres in case of emergencies. Upgraded suspension systems ensure your armored bus does not tip over due to the added weight of armouring when performing quick evasive manoeuvres. To protect against high-speed ballistics, various essential components of the vehicle are reinforced with added protection, including the radiator and the fuel tank. 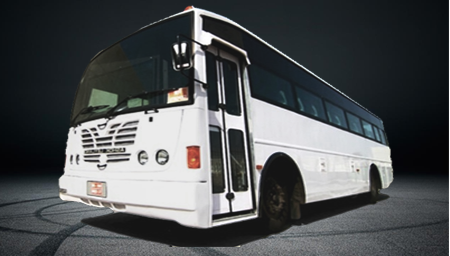 To ensure the vehicle stays mobile even during dire circumstances, each bus is equipped with run-flat tires that are designed to reduce the effects of deflation in the event of a tire puncture. In addition to top-flight solutions, Harrow Security provides extensive customer support through a network that extends globally. We offer logistics support 24 hours a day, 7 days a week. Our 35,000 square-foot production facility allows us to complete even the most demanding, time-constrained projects, and our manufacturing process is aligned with the highest international standards. To find out more about our products and solutions, feel free to contact us today. You can call us at +97148851998 or send us an email at [email protected]. To serve the mankind with highest spirit of Integrity, safeguard lives by developing quality products, making transport safer and life easier. Copyright © 2016 Armored Cars | Bulletproof Cars. All rights reserved.